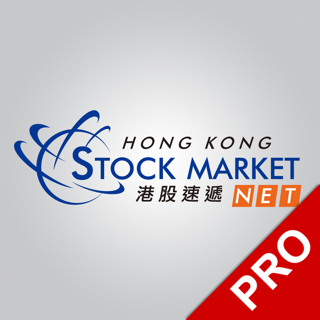 N2N-AFE (Hong Kong) Limited is the leading information provider for real-time prices, news and analytics in Hong Kong financial market. 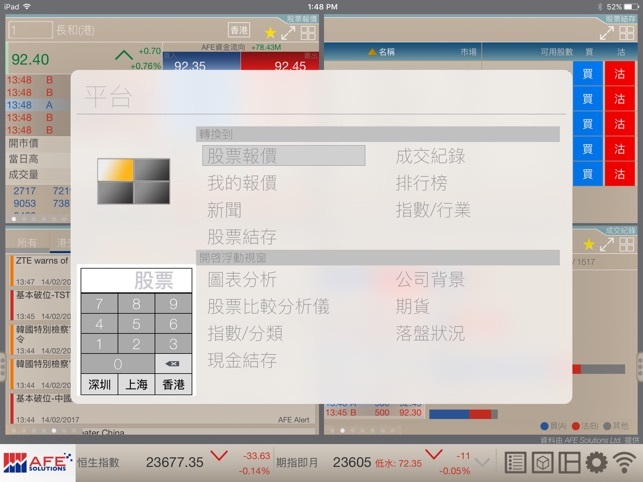 Established since 1983, N2N-AFE has been serving major brokerage firms and banks in HK with its high quality stocks market information terminals and trading systems. Among many N2N-AFE self-developed analytical tools and indicators, AFE Real Time Bought/Sold Fund Flow has become an indispensable and crucial reference for professional investors and traders. 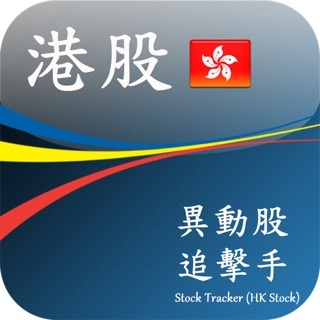 AFE Trade is a Stock Trading Platform developed by N2N-AFE (Hong Kong) Limited. 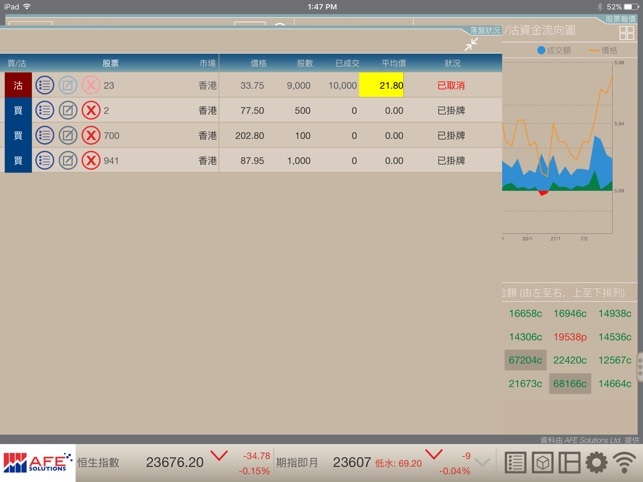 Through further supporting tablet that provide (Single account / Multiple platforms / Anytime Anywhere) real time stock information / trading services experience. 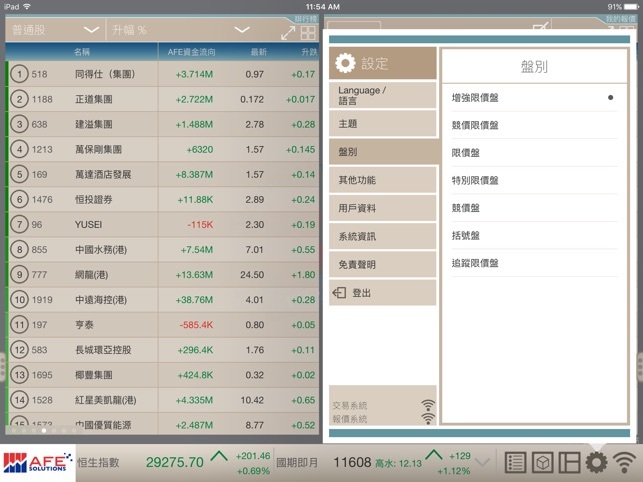 Multiple view screen for the option of viewing up to 4 stock quotes. Provides 5 default layouts for user to form your own windows combination like, quotation, order book or stock holding at the same time. -Simple order queue has been made to provide total 22 price ranges for straight Buy/Sell or queue Buy/Sell order. With preset order size button, you only need few touches to finish your order. -Equip with streaming order book instead of “Refresh” order book in the market. 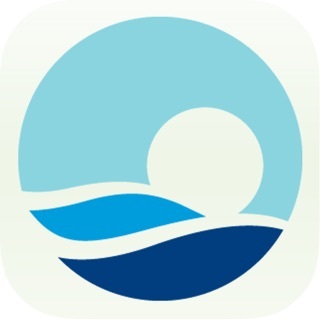 Support "button control" and "simple gesture control" makes you experience a total new operating style. “Quote” - Cover all stocks, warrants and CBBCs with comprehensive instruments like AFE Bought/Sold Fund Flow which are the crucial investment reference. Come and experience the power of real-time AFE Bought/Sold Fund Flow! Besides the TOP 20 Warrants/CBBCs ranking feature (by turnover) facilitate your choice on the most active Warrants/CBBCs. 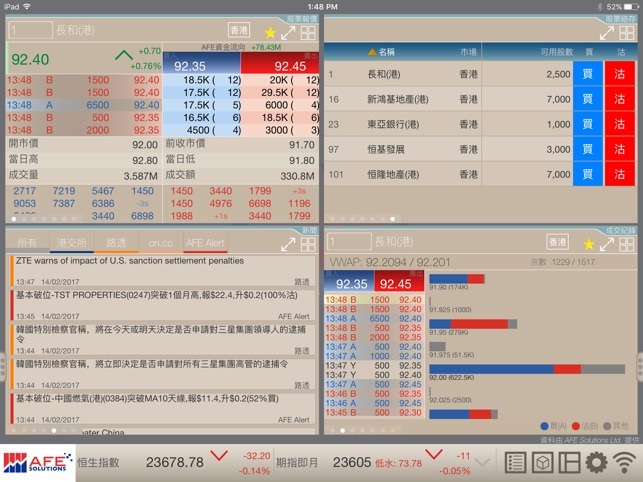 “Futures” - Real-time quotation of HKEx tradable Futures, also support open Interest, premium and cash value etc. 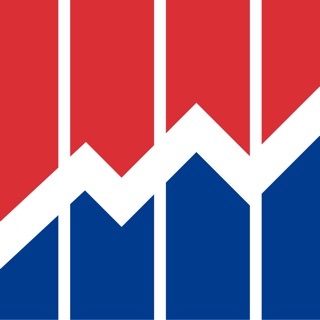 “Indexes and Industry Performance" - Look beyond local index like HSIand HSCEI. Equip yourself with unique AFE Bought/Sold Fund Flow with indexes and industry categorization. “Fundamentals” - Financial nature of listed companies over the span of five years through detailed information including their core business, corporate action, earning and entitlement history. “Other market information” - World Indexes, Charting Analysis and full choices of Top 20 Rankings etc.